#Advent Botany Day 23: Vanilla – nothing plain about this flavour! I’m not one for cream on my Christmas pudding, it just has to be custard or ice cream and so what I’m really admitting to is a love for vanilla. Vanilla is the quietest spice at Christmas but there is so much more to vanilla than merely two scoops of icecream. Natural vanilla is the fruit and seeds from a tropical, climbing orchid. There are other edible orchids (e.g. Dendrobium flowers and salep tubers), but it is certainly the most commonly used in food preparation. Some orchids are harvested from the wild to eat (such as Orchis mascula and O. militaris for salep), but given the demand, luckily this isn’t true for vanilla. 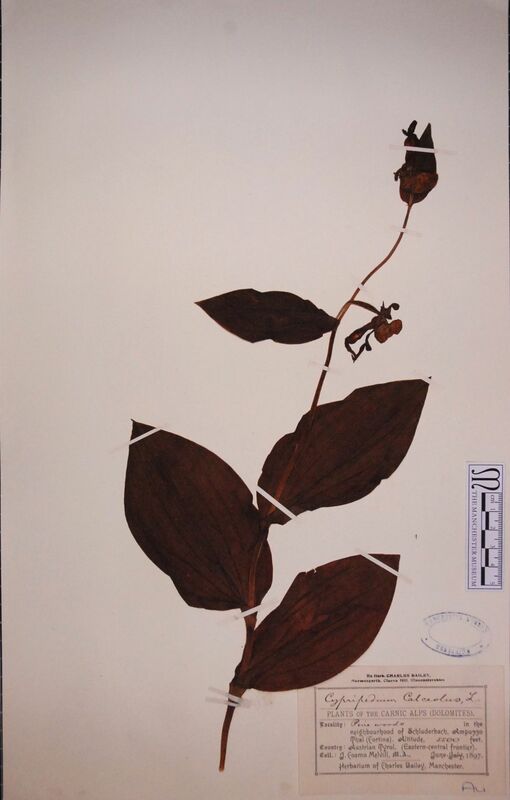 There are over 100 orchid species in the Vanilla genus, but the most commonly cultivated species is Vanilla planifolia (more commonly known as Madagascan or Bourbon vanilla). V. planifolia is native to Central and South America, and was first domesticated by the Totonac people of east Mexico, who used it exclusively until Aztec conquerors demanded vanilla as a tribute. The Spanish conquistador Cortez brought vanilla to Europe, where initially it was only mixed with cocoa and drunk, but later was used in other deserts. Vanilla was very expensive during the 16th to 19th century, as Mexico had a monopoly on this luxurious spice. The reason for this was discovered by the French botanist Charles Morren who in 1836 observed Melipona bees pollinating the flowers, which have a range limited to Mexico. Therefore, the only way to cultivate vanilla elsewhere is by hand pollination. Morren experimented with hand pollination methods but the method still used today was devised by Edmond Albius, aged 12, in 1841. A twig or blade of grass is used to lift the rostellum, separating the stigma and anthers, and the thumb is used to transfer pollen to the stigma. The process is further complicated by each infloresence only lasting for 24 hours. Vanilla is labour intensive to produce, so natural vanilla is still the second most expensive spice (after saffron). Albius’ method allowed vanilla to be grown in what is now Madagascar, Reunion and the Comoros Islands, which today account for 80% of the world’s vanilla pod production. You can find more about vanilla from the National Geographic website and an interesting site dedicated to vanilla. For centuries vanilla has been used to flavour our foods, drinks and even pharmaceuticals but the main extract from the vanilla pod, vanillin, wasn’t isolated until 1858. Nicolas- Theordore Gobley obtained it by completely evaporating the vanilla extract and then recrystallizing it from hot water in order to separate it out from all of the several hundred other components found in the extract. Since the 1870’s companies have competed to produce synthetic vanillin from clove oil, lignin, guaiacol and glyoxylic acid. More recently, Rhodia has marketed a “natural” vanillin which is prepared using microorganisms. 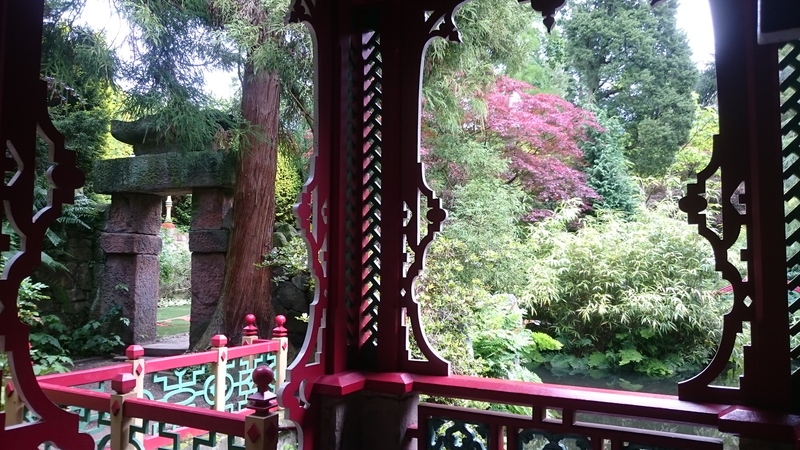 You can find out more about the structure of vanillin here. Around 2% of the dry weight of the cured pods of Vanilla planifolia is vanillin. When the seed pods are first harvested, they are green and lack the vanilla flavour and aroma. Curing of the vanilla pods consists of just four steps. “Killing” often entails the pods being frozen or blanched in hot water to initiate reactions which develop the aroma. Sweating involves stacking pods within layers of wool for 7-10 days in a very hot (45–65 °C) and humid environment. Drying occurs to reduce the remaining moisture content to around 25% in order to prevent rotting. Conditioning is the final step where the pods are left in the box for several months before being graded. It is after this curing process that vanillin develops the aroma and flavour that we have come to know and love. A tropical Christmas pudding with a vanilla glaze and beautiful danish cookies (vaniliekager) recipe. 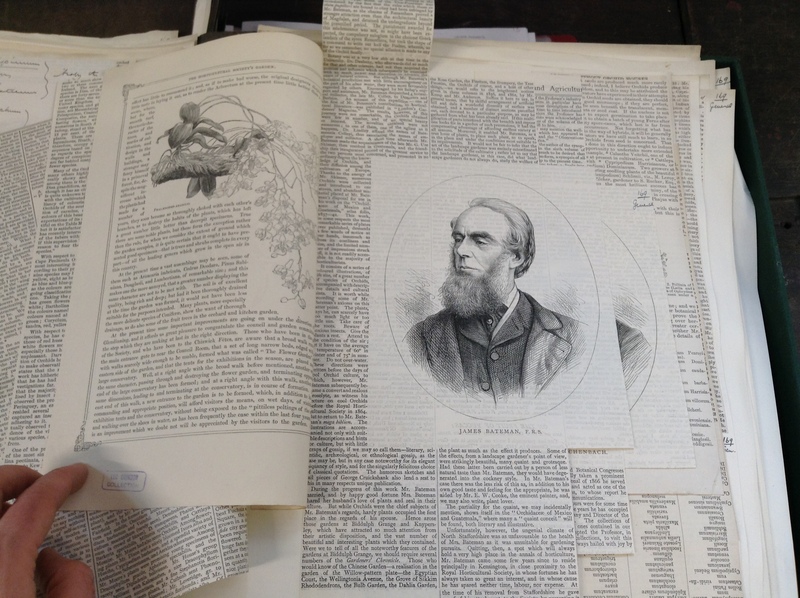 This entry was posted in News, Specimen of the Day and tagged #AdventBotany, Christmas, Orchid, pollination, spice, Vanila planifolia, Vanilla. 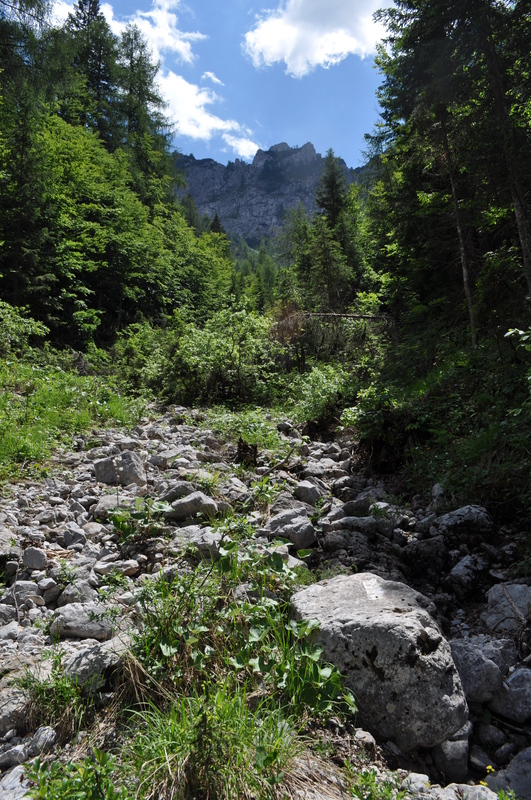 The Passo Pura in the Carnic Alps was awash with summer flowers when we visited for our Field Course in Alpine Biodiversity and Forest Ecology in July. 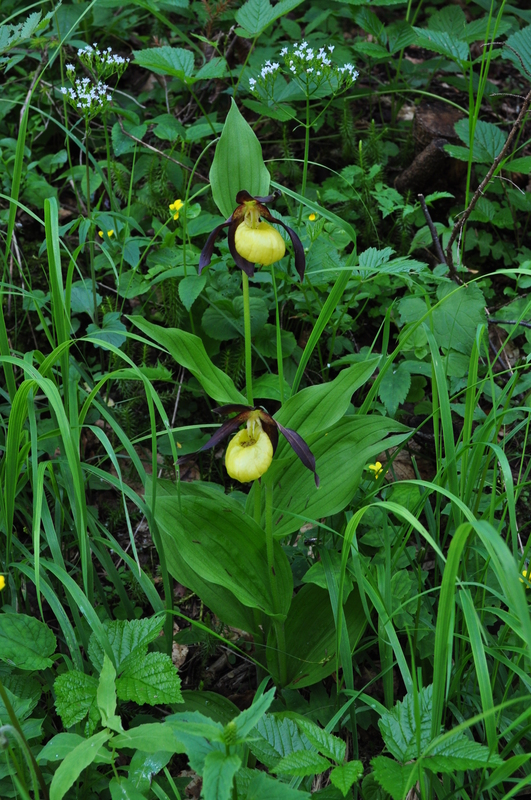 One interesting walk took us up this seasonal stream bed on the side of Monte Tinisi and rewarded us with some beautiful Lady’s Slipper Orchids (Cypripedium calceolus). The flowers in the hot Italian sun were fading and drying up, but the plants in the shade were perfect. I’d only ever seen this plant in cultivation before, so it was a treat to see it growing wild. 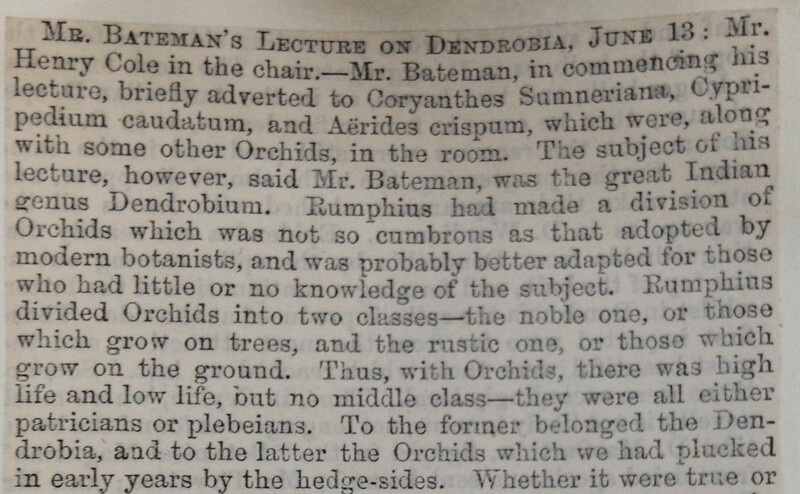 In the UK it is very rare having been lost from many sites through 19th century collecting for the horticultural trade. 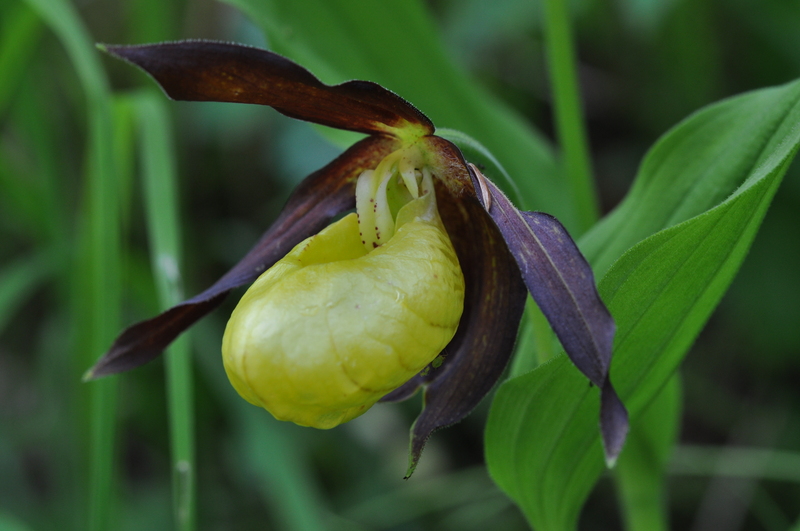 The lady’s slipper orchid was thought extinct in the UK until a plant was found growing at one site in Yorkshire. This plant has been the focus for conservation and re-introduction programmes. We also have pressed examples of this species in the herbarium collection and one sheet is on display in the Living Worlds gallery. This example was collected in the same area of the Carnic Alps in 1897 by James Cosmo Melville. He didn’t do a very good job of pressing the intricate 3D flowers, which is one reason why orchid flowers are often preserved in spirit collections. This specimen collected from neighbouring Austria does a much better job of showing the structure of the flowers. 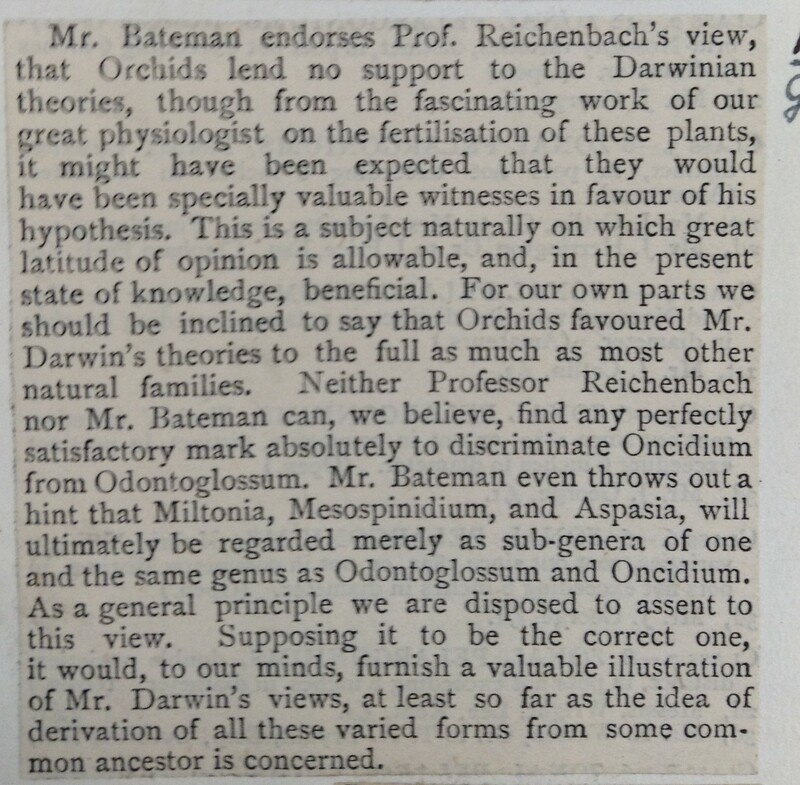 However, the person who picked it also included the roots (not just examples of the leaves and flowers) which could have had consequences for the population of plants at that site. Like other orchids, germination needs the presence of a symbiotic fungus and the lady’s slipper orchid can take many years before it reaches flowering size. 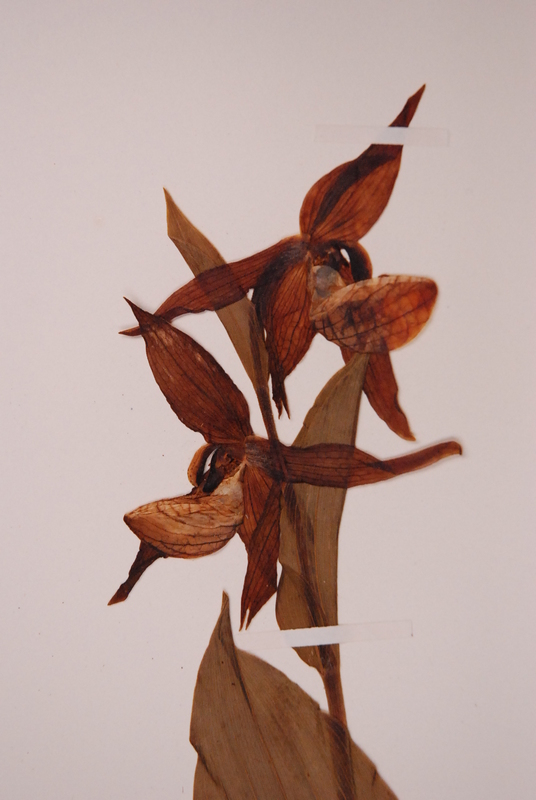 This entry was posted in Adventures, Biodiversity, Botanists, Specimen of the Day, Students, University of Manchester and tagged Alpine Biodiversity, Carnic Alps, collecting, collections, conservation, Cypripedium calceolus, Field course, flower, forest ecology, Herbarium, herbarium sheet, Italy, Lady's Slipper orchid, Monte Tinisi, Orchid, Orchids, Passo Pura, pressed flower, The University of Manchester.